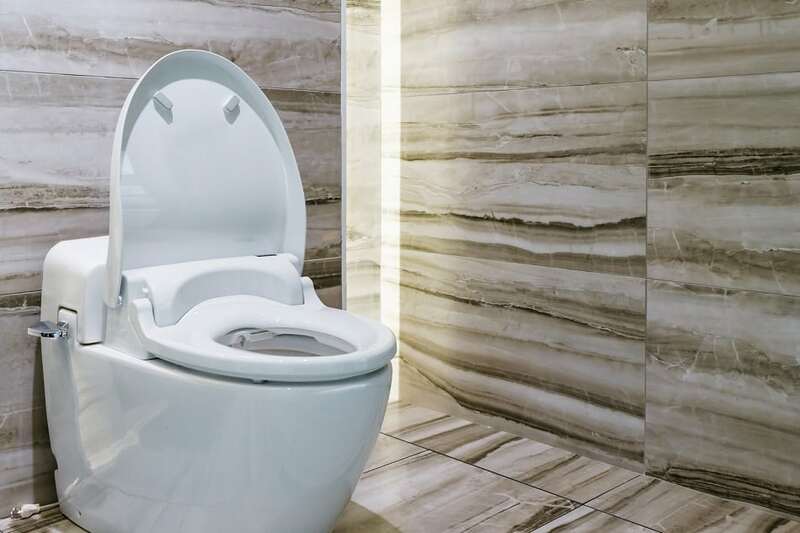 Usually, a foul odor when flushing the toilet means the toilet wax ring is not sealed to the toilet or to the floor. Whenever you put water into a drain, it first has to push the air away. If the wax ring is not sealed, it will simply push it between the floor and the bottom of the toilet into the room, instead of down the pipe. To eliminate the bathroom odor, you should reseal the toilet to the floor and the clear the main vent of debris. If you can’t do it yourself then call in a plumber.